When most of us think of natural history collections we see well-labeled, nicely arranged rows of jars, sets of herbarium sheets, or pinned insects, and this is certainly a curator’s ideal. 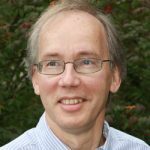 But this does not acknowledge the occasional outburst of mis-applied creativity leading to a novel approach to preserving specimens. Every collection probably has a few examples, and I thought I should share some from the acarology collection. The collection includes some ticks processed in ways that are simultaneously novel, creative, and useless. 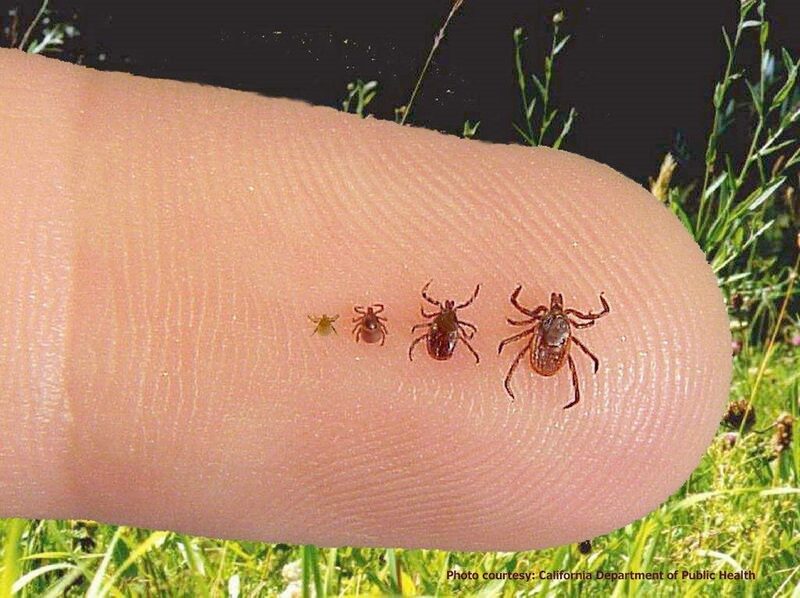 The standard way to preserve ticks is in fluid, mostly 70-95% ethanol. 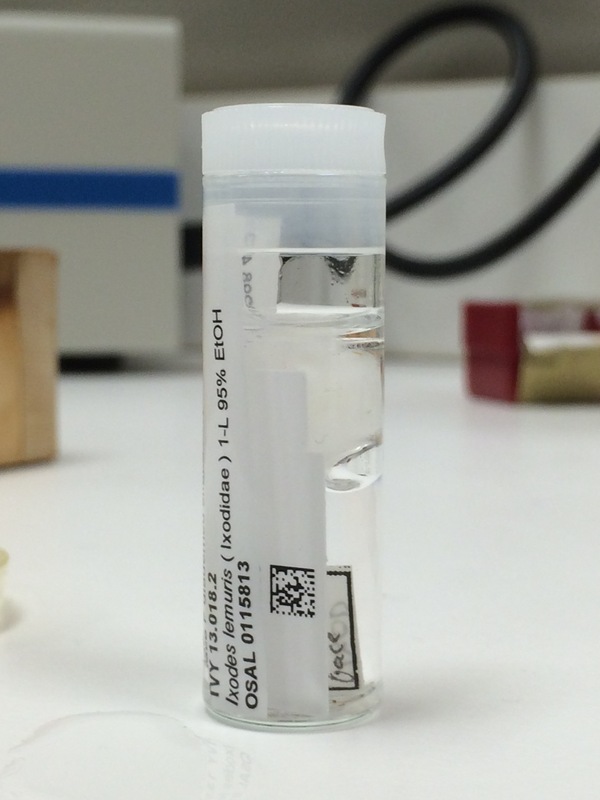 Ideally in good vials with complete labels, and a barcode linked to a properly functioning database. One less than great alternative is diluted formalin, at least for a brief period of time. This mixture does not evaporate as fast as ethanol (good in warm regions and in the absence of good containers) but it diminishes the value of the specimens because it destroys DNA. Still, this is not very odd. 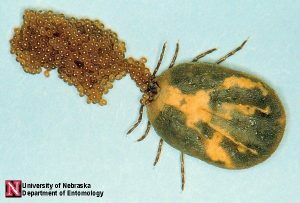 “Weird” would be one word for the option of pinning ticks. We have a few of these in the OSU Acarology Collection. These specimens are essentially useless. Insects, with their hard cuticles, do quite well on pins, but generally soft-bodied organisms like ticks just shrink and shrivel, in the process destroying many valuable characters. While tick adults and (usually) nymphs are fluid preserved, tick larvae are small enough that they can also be put on slides. A well-prepared slide of an unengorged tick larva can be a thing of beauty. 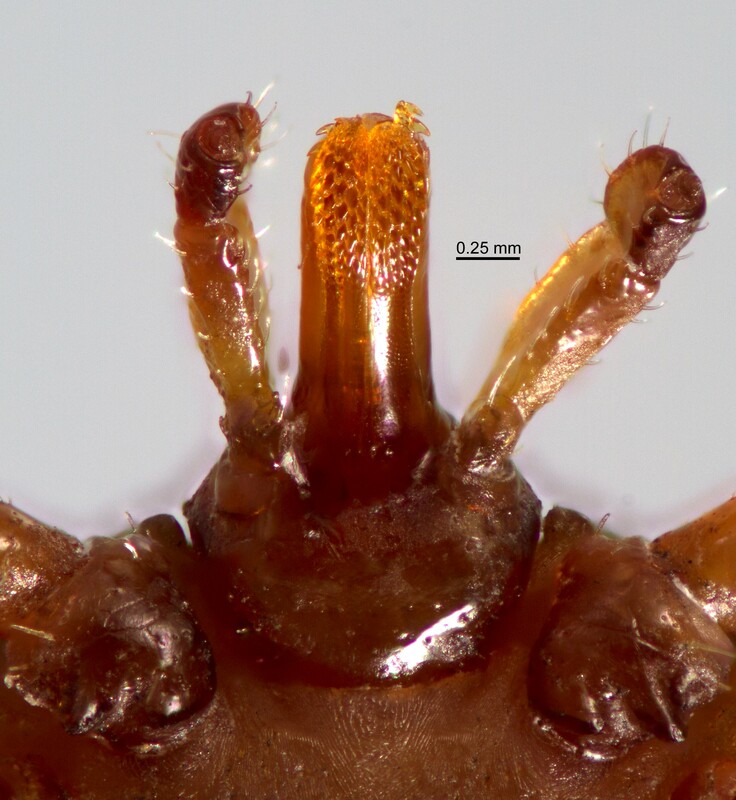 Under a microscope you can observe very fine detail of the cuticle structure, leg hairs, mouthparts, etc. Of course not everybody is as narrow-minded as the above lines suggest. 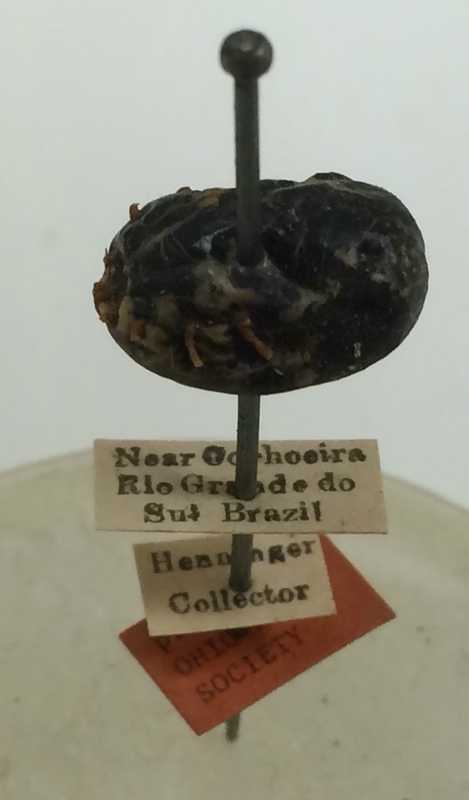 For example, one specimen of an engorged adult dog tick (Dermacentor variabilis) in our collection shows a reckless disregard of the rule that slide mounting is only for larvae. 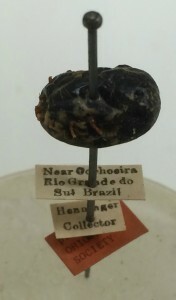 The specimen is encased in a 2mm high wooden “box” placed on a slide, filled with mounting medium and topped with a glass cover slip. The overall resulting structure is far too thick and too opaque to be usable, but the craftsmanship exhibited in making this “box” can only be described as exquisite. I would like to close with a salute to those among us that are not bound by conventions and that bravely go where nobody has gone before. Just don’t do it again.